I was on one of my tech teacher forums–where I keep up to date on changes in education and technology–and stumbled into a heated discussion about what grade level is best to begin the focus on typing (is fifth grade too old–or too young?). Several teachers shared that keyboarding was the cornerstone of their elementary-age technology program. Others confessed their Admin wanted it eliminated as unnecessary. Still others dismissed the discussion as moot: Tools like Dragon Speak (the standard in speech recognition software) and iPhone’s wildly-popular Siri mean keyboarding will soon be as useful as cursive and floppy discs. My knee jerk reaction was That’s years off, but it got me thinking. Is it really? Or are the fires of change about to sweep through our schools? Already, families are succumbing to the overwhelming popularity of touch screens in the guise of iPads. No typing required–just a finger poke, a sweep, and the command is executed. Those clumsy, losable styluses of your parent’s era are so last generation. The day kids discover how easy it is to tell their phones what they need done (think iPhone 4S)–stick a fork in it; keyboarding will be done. Truthfully, as someone who carefully watches ed tech trends, a discussion about the importance of keyboarding says as much about national education expectations as typing. Schools are moving away from reports and essays as methods of assessing understanding. Teachers want plays that act out a topic, student-created videos that demonstrate authentic understanding, multi-media magazines that convey a deeper message. Web-based communication tools like Voki, Animoto, and Glogster–all of which have limited typing–are de rigeur in every academic program that purports to be tech-savvy. Students are encouraged to use audio, visual, taped vignettes, recorded snippets–everything that ISN’T the traditional MS Word document with a bullet list of comprehensive points to convey the message. For much of what students want out of life–to call a friend, find their location on GPS, arrange a get-together, create a reminder–writing is passe. Email to your middle school and high school children is as anachronistic as snail mail. Even texting is being shunted aside by vlogs and Skype, and note-taking–with the popularity of apps like Evernote–has become something best accomplished with swipes and clicks. But it’s not dead yet. Certainly, voice commands can activate a software program or bring up the teacher’s website to view homework, but how do you quietly talk to a computer during a lecture? Are programs like Dragon Speak and Siri capable of blocking out extraneous sounds and focusing in on the singular human voice? And don’t discount the aesthetics of typing. Take me for example. I’m a K-8 technology teacher. I’m in the know about the latest and greatest in technology trends. I’m expected to try them–and use them. I write for a hobby, but I have arthritis. My doctor wants me to stop typing, switch to Dragon Speak. My modern kids are all for it, but Dragon Speak’s quirkiness (like mis-typing oh-so-many words) is distracting. Plus, there’s a connection between my brain and fingers that helps me think. Maybe it’s as simple as I muse at the speed I type. Maybe the clackity-clack of the keys is soothing to my rattled brain. Nothing in my pedagogic or anecdotal research has convinced me it isn’t also true for kids. If we eliminate the peaceful predictability of tapping fingers on those little squares, will getting words on paper be more difficult? I decided to poll my parents. 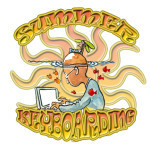 Overwhelmingly, they support age-appropriate keyboard training for children as young as kindergarten. They understand that typing may be antiquated some day, but not today, or tomorrow. Until it is, they want their kids to learn it. 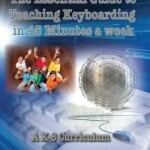 For a unique keyboarding curriculum from Ask a Tech Teacher, click here. Dear Otto: Do Students Still Need to Learn Keyboarding? What Should You Expect of Younger Keyboarders? 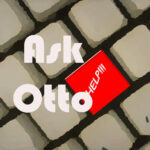 Dear Otto: How Do You Teach Adults to Keyboard? At What Age is Typing Faster Than Handwriting? This entry was posted in Ask a Tech Teacher and tagged in keyboarding.